Save the date and join the Irish Peatland Conservation Council for International Bog Day at the Bog of Allen Nature Centre from 2-5pm on Sunday 26th July. International Bog Day started in Scotland in 1991, is held annually on the last Sunday of July and aims to raise awareness of the beauty of peatland habitats and their plants and animals. This open day is part of Feile an Dúlra the Bog of Allen Nature Centre’s Festival of Nature supported by Kildare County Council. It is a free event for all the family and visitors can expect fun nature activities for children including pond dipping and frog and newt searches, guided peatland exhibition and wildlife garden tours, guided walk to a local nature reserve and light refreshments. 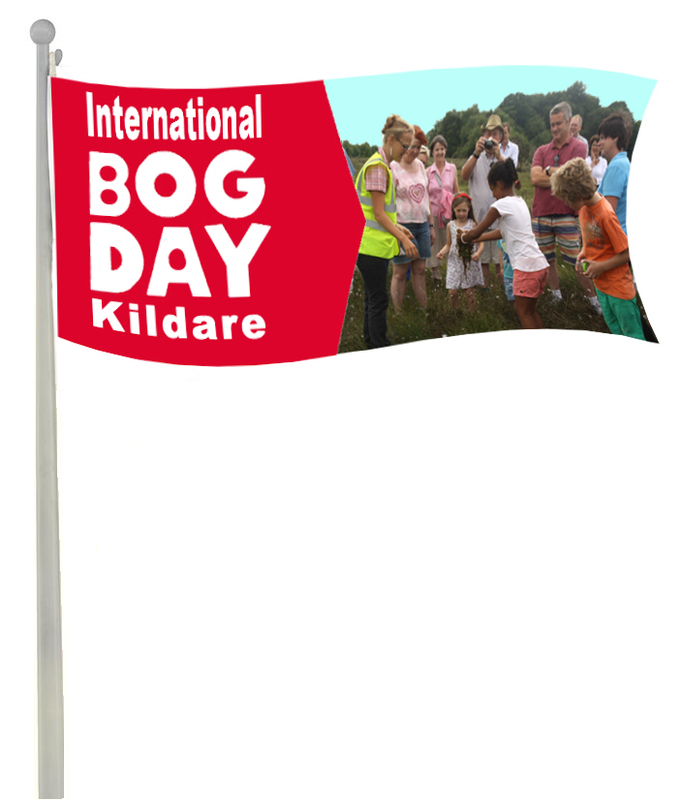 This year the Bog of Allen Nature Centre will also be hosting a second special event on International Bog Day. The centre is home to the largest public display of insect eating plants in Ireland and the UK. Visiting this display you will find native sundew and butterwort aswell as international insect eating plants including cobra lilies, venus flytraps and pitcher plants. Insect eating plants are appreciated by many groups around the world and this year on International Bog Day the Bog of Allen Nature Centre will be celebrating these plants. This celebration is part of the centres Community Tourism Diaspora Initiative of Failte Ireland, IPB Insurances and Kildare County Council. The Irish Peatland Conservation Council have invited visitors from around the world who have an interest in carnivorous plants to come to Ireland and share their knowledge and passion for these exciting and different plants. Visitors to the centre on Sunday the 26th July can also expect an information talk and guided tour of the insect eating plant exhibition in the wildlife gardens at the centre. All welcome to attend. Peatlands in Ireland hold many values for us. They are a source of fuel, they are used as an amenity, they support diverse communities of specially adapted plants and animals and support many natural regulating functions such as flood control and carbon storage. Join the Irish Peatland Conservation Council on Sunday 26th July between 2-5pm at the Bog of Allen Nature Centre and celebrate these wonderful, wet, open and natural landscapes of Ireland. This entry was posted in News and tagged Activities, Bog of Allen Nature Centre, Bogs, Events, Family Nature Activities, international bog day, open day. Bookmark the permalink.